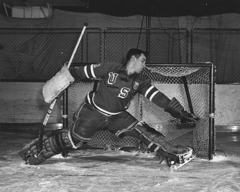 Jack McCartan doesn’t claim to be a natural born goaltender. More like the position was thrust upon him. 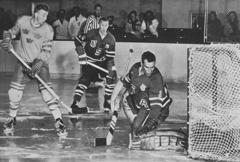 As a youth hockey player growing up in St. Paul in the 1940s, McCartan rotated in at goaltender just like the rest of his teammates. As for wearing actual goalie pads – forget about it. As a freshman at St. Paul Marshall High School, McCartan joined the hockey team with no intention of being the starting goaltender. Just like that, McCartan was named the new starter in goal. McCartan described St. Paul Marshall as a school with a diverse population. “There were poor kids, rich kids, Jewish kids, Catholic kids,” McCartan said. About the only type of kids the school lacked was hockey players. Good ones, anyway. St. Paul Marshall was a member of the St. Paul City Conference from 1941 through 1953, McCartan’s senior season. A yearbook from McCartan’s senior season shows the team playing a schedule that includes other since-closed St. Paul high schools such as Mechanic Arts, Wilson, Murray, Monroe and Washington. Marshall went 0-6-3. The team scored more than one goal just once, and it was shut out three times. McCartan, however, never allowed more than four goals in any game. He was selected to the All-City team. McCartan also played football and baseball. 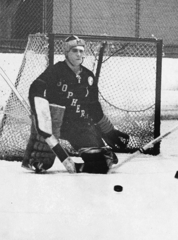 He drew interest from the University of Minnesota as a baseball player, but he never was recruited to play hockey. McCartan, however, couldn’t stay away from the game for long. McCartan inquired about joining the program, but he said the response was lukewarm at best. “I told them where I played in high school and that didn’t do much for me,” McCartan said. 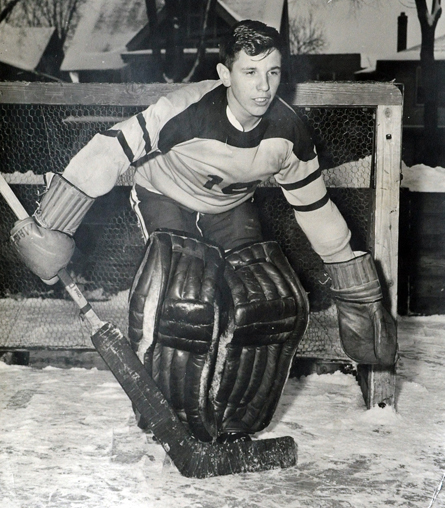 McCartan said he was allowed to play on the Gophers’ freshman team only because he was able to borrow a set of goalie pads from a friend. 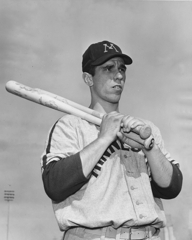 He went on to crack the lineup as a sophomore and was named a first team All-American after the 1957-58 season. 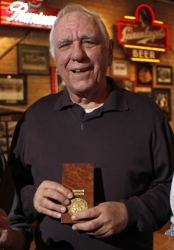 “He was a good-sized guy who stood up and cut down the angles,” said Willard Ikola, the former Eveleth goaltending wizard who became a legendary high school coach at Edina. 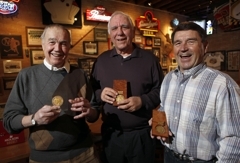 Ikola said he was training for the 1956 Olympics at the University of Minnesota when he had the chance to work with McCartan. 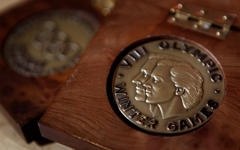 McCartan, who is three years younger than Ikola, achieved nationwide fame when he led the underdog U.S. Olympic team to upset victory after upset victory en route to the gold medal at the 1960 Olympics. 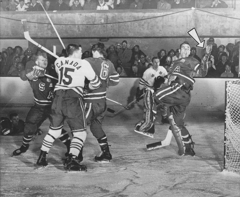 He played 12 games for the New York Rangers during the 1959-60 and 1960-61 seasons. 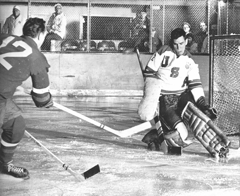 The bulk of McCartan’s 16-year pro career was spent in the WHL with multiple teams including the California Seals, San Diego Gulls and Minnesota Fighting Saints. After retiring from pro hockey in 1975, McCartan worked as an NHL scout. He is retired and lives in Eden Prairie. McCartan’s grandson, Jack McCartan, was a forward on two Eden Prairie state Class 2A championship teams, in 2008-09 and 2010-11.